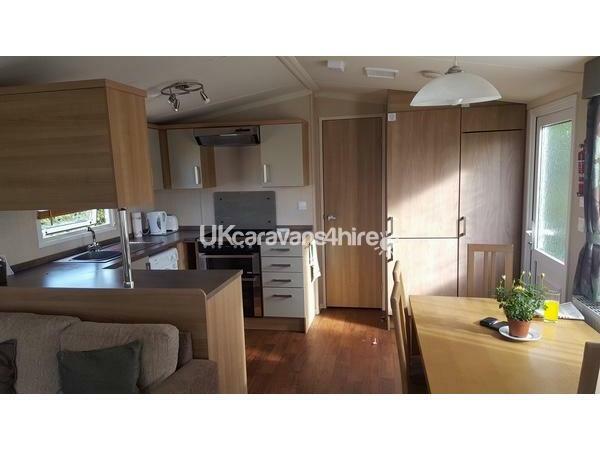 Additional Info: Full size fridge freezer, fully fitted washing machine within Kitchen area with a whirly to hang laundry out, patio table and chairs this is a prestige range caravan. £50.00 deposit secures the requested date final balance must be paid in full within 4 weeks prior to arrival date. 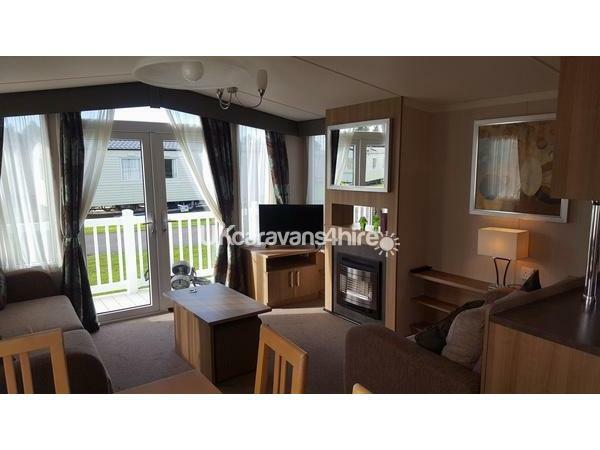 A security payment of £50.00 is required on arrival and is fully refundable based upon satisfactory inspection of the caravan at the end of the hire. The rental price does not include the facility passes. You will be required to pay for a pass for each person from the Office at Seton Sands if you wish to take advantage of the Holiday Village facilities. Facilities: golf course, amusements, indoor pool, bungee jumping, archery, go carts, bikes, children club, entertainment for adults and children, swing park, and nature trails. There is also a laundry, fish and chip shop, restaurant and bar, and grocery shop on site. 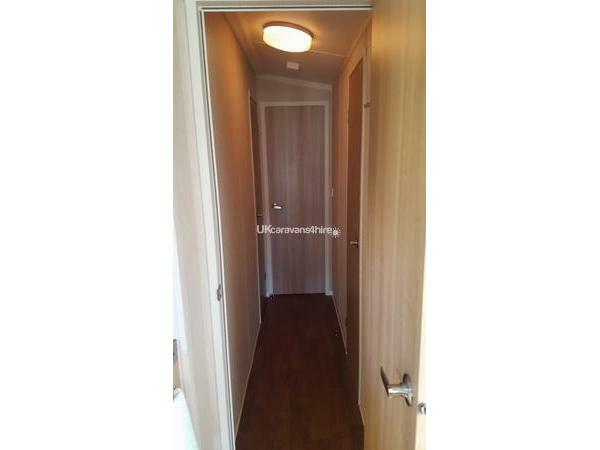 A £50.00 deposit is required to confirm booking and balance to be paid 4 weeks prior to arrival. All bed linen is supplied. At the main holiday village entrance you will find the No 26 bus that takes you into Edinburgh City Centre and run every 10 minutes, so you can have a drive free holiday. Beautiful clean beach right within 5 mins walk, at the main gate of Seton Sands. With many other surrounding beaches within a short drive or bus journey. Walks along the waterfront from the holiday village to local restaurants and take aways etc..
Additional Info: Facilities: golf course, amusements, indoor pool, bungee jumping, archery, go carts, bikes, children club, entertainment for adults and children, swing park, and nature trails. There is also a laundry, fish and chip shop, restaurant and bar, and grocery shop on site. 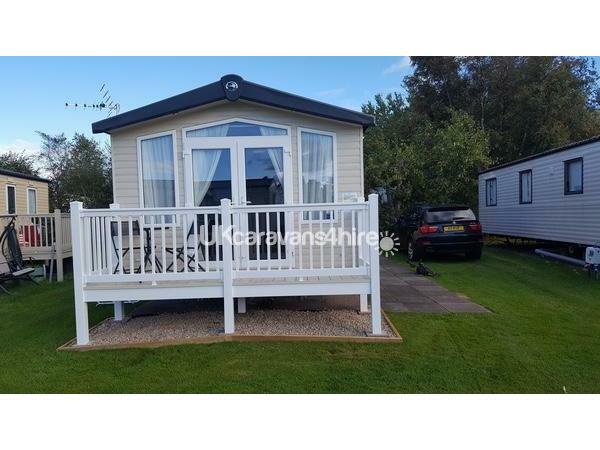 stayed at this lovely caravan with my husband and 2 grandsons for 2 nights. we had a lovely time. 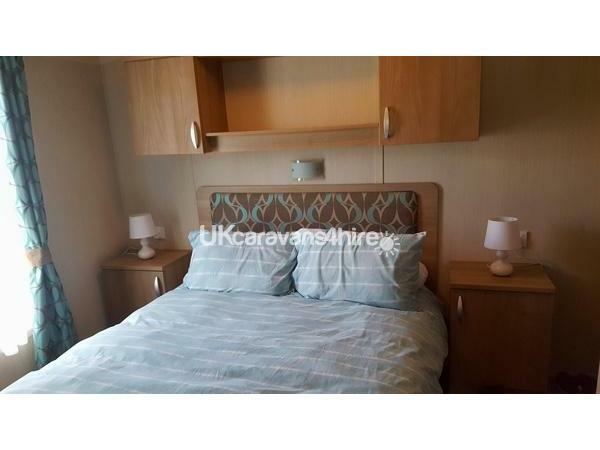 the caravan was lovely very clean and had everything you need for a great stay. 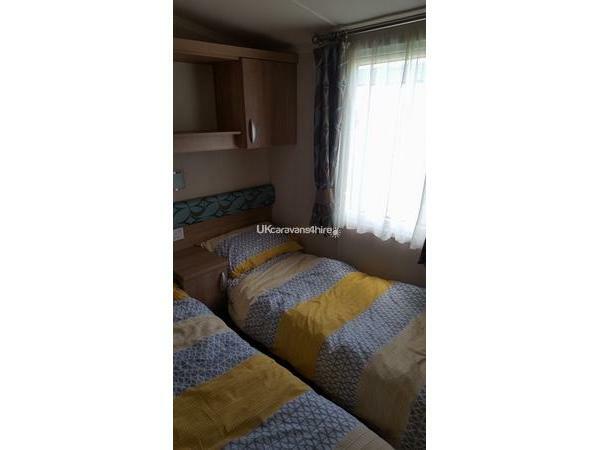 it has full size fridge freezer ,washing machine, full size cooker, central heating, 2 bedrooms 1 with en-suite, family bathroom,and a pull out double bed in lounge area, bedding included in the price and a few little extras like tea, sugar, coffee, salt, pepper, washing up liquid, toilet roll, hand wash and a dish towel which all helps cos you always forget something.would definetly reccommend and would book again the booking process was very easy and Kim kept in touch throughout the process thank you for a lovely caravan and a great wee break. Thank you Pat. I am glad you enjoyed your stay! Thank you for your feedback Rebecca. I am glad you enjoyed your stay at the caravan. We had a great week with the kids weather was in our favour. 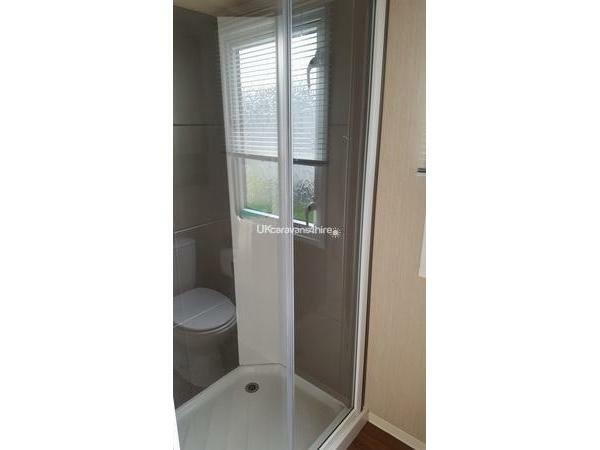 The caravan was spacious and very clean. Location of the caravan was great for the kids freedom and will return again!